German Interior Minister Thomas de Maiziere said that three Syrian refugees were arrested as participants of the Daesh sleeper cell in Germany. 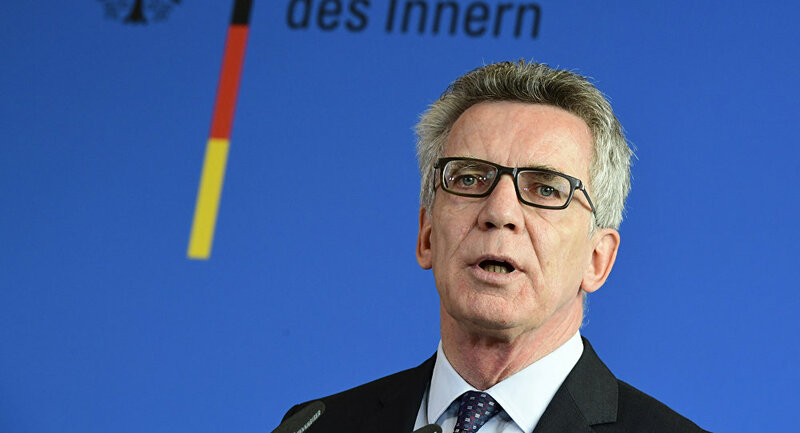 BERLIN (Sputnik) – Three Syrian refugees detained in Germany are part of the Islamic State (ISIL or Daesh) jihadist group’s sleeper cell in the country, German Interior Minister Thomas de Maiziere said Tuesday. "They were at the disposal of the Islamic State in Germany. It is safe to say that we are talking about a ‘sleeper cell’," de Maiziere said. He added that the seized identification papers indicated the detained refugees’ Syrain citizenship.